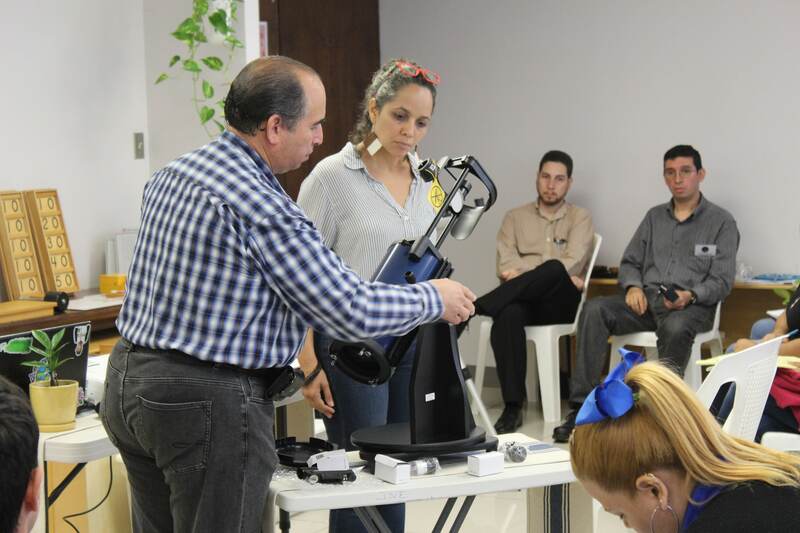 During the workshop, which took place at the headquarters of Instituto Nueva Escuela in Río Piedras, the teachers learned about the basic parts and operation of the telescopes that were donated to their schools last May as part of their participation in "Astronomía al Servicio". In addition, educators learned about visual astronomy and how to use the equipment to carry out daytime observations. Teachers will be using what they learned in the workshop to conduct science lessons using the telescope and astronomical observation activities involving their students and community members during the school semester. "Astronomy is a discipline of great interest among the public, but few have access to a telescope. "The "Astronomía al Servicio" initiative allows teachers and students to serve their communities by providing the opportunity to observe the universe," said Dr. Greetchen Díaz, Director of Science Education and Community Partnerships for CienciaPR, who leads "Astronomía al Servicio" project and served as one of the facilitators of the workshop. The activity was also facilitated by Prof. Juan Villafañe, President of Puerto Rico Astronomy Society, Prof. Armando Causade, President Emeritus of Puerto Rico Astronomy Society, Ing.Norman Padovani and Prof. Jean-Pierre Bernal.